We get many emails and messages regarding service dog functions and one of the most misunderstood is the seizure detection/alert and seizure response dogs. They are two very different types of dogs and can vary greatly in price, training, certification, and aftercare. So we will keep in a simple easy format to read for all to understand as there are many technical explanations that can be added but few would understand and any good transfer of knowledge should be based on an easy to follow format, believe me, get some trainers and dog behaviorists together and you would think that they are speaking a different language. Before getting a Seizure Detection / Alert Dog or a Seizure Response Dog we recommend that you investigate all the options before getting a dog. Once you get a dog you have to feed, care, play, maintain and monitor this dog – is this going to help or add stress to your life. 1. Start with your medical team and get a clear diagnosis as possible for your child – how severe, often and type are the seizures. 2. Speak to your local or provincially related association – here in Manitoba we refer people to Epilepsy and Seizure Association of Manitoba (esam@manitobaepilepsy.org) – they are a wealth of information and a great contact for resources. 3. Try products specifically made for seizures – such as but not limited to Seizure bed alarm that works for severe convulsions that notify a caregiver by SmartPhone or monitor in another room or a Medic Alert that is monitored. We feel once you have this foundation of information, then research and see if you need a seizure detection/alert or a seizure response dog. On average, these predictions or alerts are made 10-30 minutes before the seizure, giving the person with the seizure disorder an opportunity to move to a safe place or position, take medication, call for help, or notify friends, coworkers, or family of the impending seizure so they can be checked on later or during the seizure. These dogs are very expensive to train and few and far between. You may get lucky and have a family pet that fits the approximately fifteen percent of dogs that naturally are able to predict seizures before they occur. If you have this type of dog you then seek trying to turn this dog into a service dog. That being said a seizure detection dog for our organization is for critical to life cases and one method of training is like any another detection dog on the popper box and search room system – just like narcotics or explosives. Another method is the stocking method of the dog continually watching for visual cues that change in the individual and some dogs can do both. To maintain this detection monthly communication with the service dogs team, 6-month evaluations and yearly certifications are required. We recommend that if at all cost try to get a service dog provider that can provide this type of support. It is very extensive and costly but someone’s life may be at stake so the utmost oversight is recommended. Also, no dog can detect 100% of the time every time, the average trainable detection rate is 90% and some super dogs can go higher such as MSAR Elite Service Dog Bennie 92% or the genius Jerry at 94%. So if anyone tells you that they can guarantee a seizure detection dogs ability all the time I would suggest you be skeptical and ask questions. How do these dogs detect seizures? They are able to detect fine motor changes or facial expression changes that are not noticeable to the human eye. A dog is the only animal on the planet that is able to identify this in humans. The dog must live through the seizure with the person to alert to that specific scent and then conditionally re-enforced for this task. The dog is trained to perform tasks during or following a seizure to assist the team. These tasks may include, but are not limited to, rolling the person over to create an open airway, clearing vomit from the mouth, getting assistance or a caregiver, operating a panic or call button on a phone, blocking or stopping the person with *postictal disorientation from stairs and intersections, helping the person to get up or rise, helping with *postictal balance issues, guiding the disoriented person to a preset location, exit, caregiver, coworker etc. 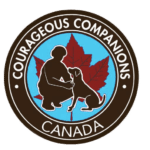 This may be the best option of a service dog for most people with the hope that the dog may turn into a seizure detection / alert dog after a bonding period of six months, we have seen this happen for about 50% of the cases after placement. In the end, I would recommend plenty of research and discussion on which suits your needs the best. 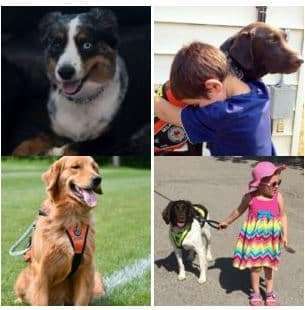 When researching a service dog provider ask to speak to people that have these type of dogs and ask to see their dogs – this will tell you how they train and treat their dogs. For anyone that has ever contacted our organization MSAR, they know that the first thing we try to do is talk you out of getting a service dog. Many people are simply desperate for assistance and may want to try anything and everything without weighing the ongoing commitment needed for a dog. We understand this and try to slow down all inquiries so that clear, precise decisions are made which to best protect the potential recipient and the dog.